By Andrea Diamond. Nov 12, 2015. 9:00 AM. 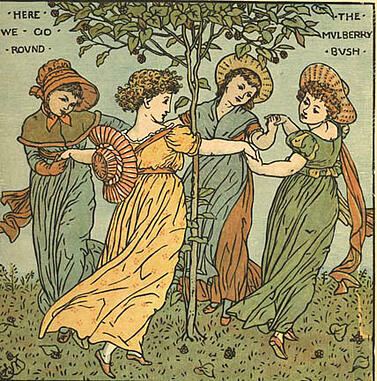 In contrast to the element of chaos found in Randolph Caldecott’s illustrations, Walter Crane presents a more regal picture. His illustrations in The Baby’s Opera: A Book of Old Rhymes with New Dresses and Beauty and the Beast exhibit more stoic representations of the stories, while still remaining true to the emotion of the text. Crane was born in Liverpool, United Kingdom in 1845, and experimented with several different medias to express his artistic talents throughout his life. 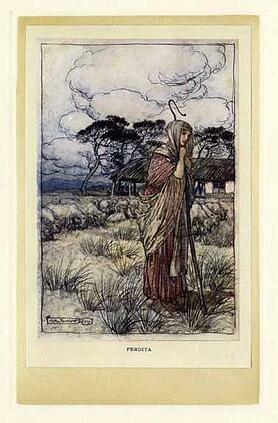 Arthur Rackham’s art provides a stark contrast from the first three illustrators. His use of predominantly dark colors gives the pictures a level of intensity that is not often found in children’s books. The use of shading in his illustrations highlights specific details in the scene, while still presenting a very unified picture. Some of his great illustrative work includes Alice’s Adventures in Wonderland, The Vicar of Wakefield, and Rip van Winkle. 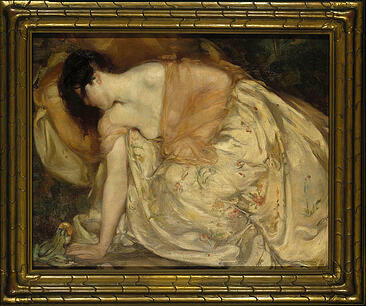 Rackham was born in England in 1867, but moved to Australia at the age of 17. Best known for his illustrations in A.A. Milne’s Winnie the Pooh series and Kenneth Grahame’s The Wind in the Willows, E.H. Shepard had a very simple style of decorating books. He frequently depicted characters’ adventures with softly shaded sketches, offering just enough imagery to set the scene. 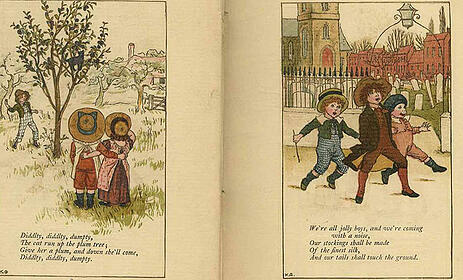 Shepard was born in London in 1879, and was the father of Mary Poppins illustrator, Mary Shepard. Edmund Dulac was born in Toulouse, France in 1882. Though he originally was a student of law, Edmund went on to study art full time. His great illustrative works include Arabian Nights, Stories from Hans Christian Anderson, and Fairy Garland. 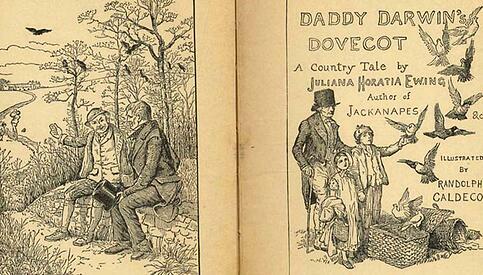 His artistic style was extremely intricate, and brought life to the pages of children’s books through small details. 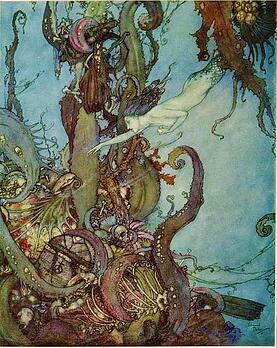 Dulac had a particular knack for creating magical creatures and fairy tale scenes. 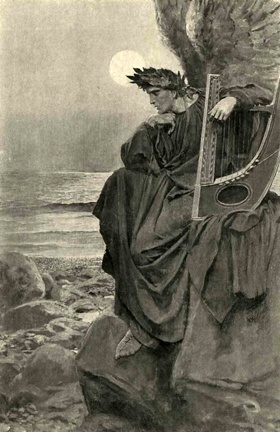 Born in Delaware in 1853, Howard Pyle is the first American illustrator on our list. Best known for his illustrations in The Merry Adventures of Robin Hood and Men of Iron, Pyle frequently depicted tales of courage, freedom, and adventure. In addition to creating unsung heroes, it seems Howard Pyle also had a special talent for drawing pirates. 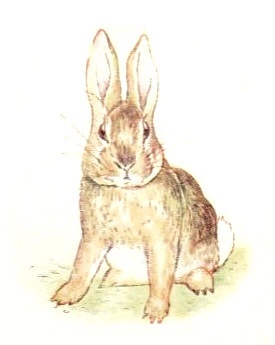 Although she was a dynamic woman with many talents, Beatrix Potter is perhaps best known as the loving mother of Peter Rabbit and Jemima Puddle-Duck. Potter brought her whimsical characters to life with beautiful illustrations of their country adventures, using predominantly pastel colors and soft textures to emulate the quiet comfort found in their natural homes. 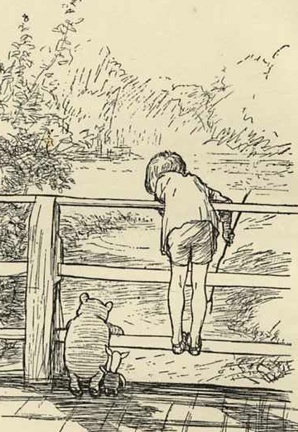 Born to famous illustrator E.H. Shepard in 1909, Mary Shepard followed in her father’s footsteps. Mary Shepard was the illustrator behind Mary Poppins, and the lovely simplicity of her work holds a strong similarity to her father’s illustrations in Winnie the Pooh. Through his writing and illustrative talents, Ludwig Bemelmans introduced the world to “an old house in Paris that was covered with vines” and “twelve little girls in two straight lines.” Bemelman’s artistic works in the Madeline books are as timeless as the story, and continue to touch the hearts of readers of all ages.